With wonderful bronze accent marks on the stretcher and a curved design on the legs, the Large Round Cast Iron Bronze Fire Pit from Dagan Industries offers a two-toned Mediterranean look that recalls Etruscan classics. 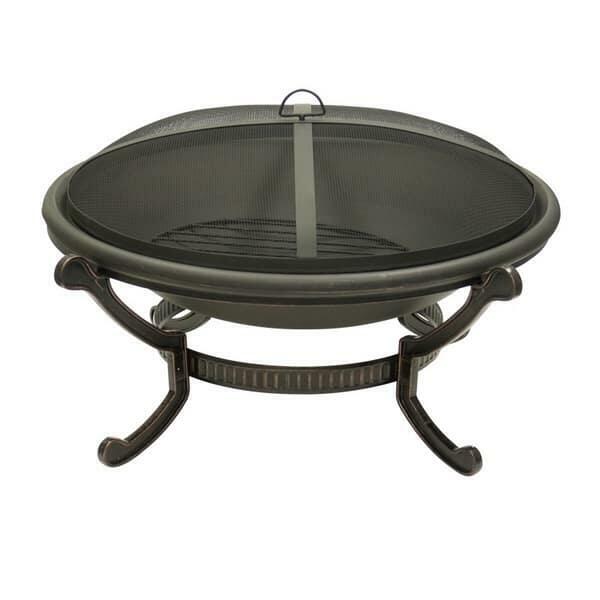 One of the largest portable fire pits available on the market, this model features a massive 35" diameter fire bowl. Now you can build a safe roaring fire in your Outdoor Room that will serve as the focus of your next party! Fire pits are great outdoor accessories, adding a showpiece for guests to enjoy, or a warm private escape for loved ones and lovers!